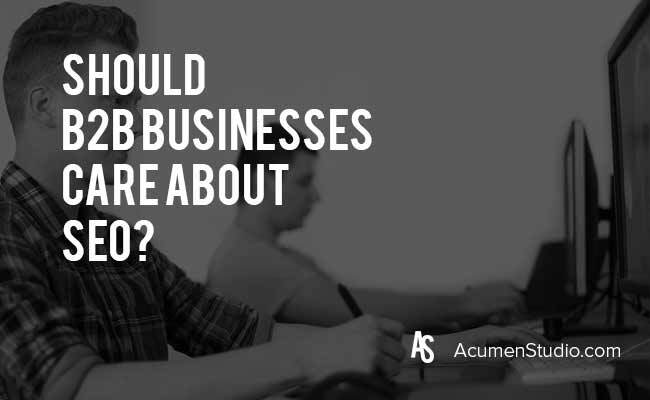 Did you ever wonder why B2B SEO is so important for businesses? SEO, also known as search engine optimization is critical in driving organic traffic to your site. SEO assists the search engines and users in finding and understanding more about your site. Search engine optimization educates visitors and answers their questions. Search engine optimization helps increase your sites visibility and will help your business grow. When was the last time you did a search and clicked past the fourth or fifth page? Most people never go past the first or second page. If you want organic rankings you need SEO. Just having a website won’t get you rankings. Most of your high ranking competitors already applied SEO to their websites, that’s why they are ranking so well. If you can’t be found in searches, then you’re not going to acquire as much business. Get your digital marketing audit. Discover your company’s strengths and weaknesses and the opportunities you can maximize for a winning digital strategy. These five benefits will highlight some of the important benefits of SEO and how it can take your brand to the next level. SEO increases traffic. Organic search is a key source of website traffic. The higher your rankings the better your visibility and conversions. Organic search is usually the leading source of all your website visits. SEO provides better user experience. User experience is important to the search engines and your visitors. Mobile-friendly is one of Google’s ranking factors along with hundreds of other ranking factors. Everyone wants to view a mobile-friendly site. People will leave a website if it isn’t user friendly and they can’t find what they want. Local SEO increases traffic and conversions in your area. Let’s face it how many people use phone books anymore? Usually, the phone book print is so little and it’s hard to read. It’s easier and quicker to do a search on your phone and push one button to call. If your business is not optimized for local, then you’re missing out on local business. This is especially important to businesses offering services. Whether your business is B2B or B2C it should be in Google My Business along with some quality local directories. Receiving good user reviews will enhance your local listing. SEO influences the buying cycle. SEO can get your good deals seen. It advances people through all the buying cycle stages. SEO builds brand awareness. People will start recognizing your brand. SEO helps get your brand out there. SEO is an important element of your inbound marketing strategy and it is essential for your business growth. SEO takes time; it’s not a fast fix. That’s why we recommend combining SEO with other digital strategies to produce powerful results. PPC (pay-per-click) strategies help you get in front of your buyer quickly and it brings in new leads and sales. Social media reaches your prospects and customers with a majority of them interacting with your brand generating leads and sales. Email and marketing automation will continue to drive sales. We often see companies, agencies and marketers using the term Marketing Strategy interchangeably across a broad number of initiatives and tasks that are really different from each other and need to be defined as different up front to make sure everyone is on the same page which will eliminate work overlap or double up and make the work more effective. Where we see this the most is a B2B business has Strategic Objectives where part of solving for those objectives is having a B2B Marketing Strategy and to solve for that marketing strategy you need a B2B Marketing Tactical Strategy and finally you’ll need to execute the tactics that are a part of the tactical strategy. That’s a Mouthful! But let’s break it all down through an example. The B2B Marketing Strategy should support the businesses strategic objectives by giving a clear plan as to how it will accomplish this overall. A Manufacturer wants to launch one of their products into a new market in the next year. They need to achieve $200,000 in sales by the end of the first two quarters to feel the new market will be sustainable. The sales team tells the marketing team that they will need at least 4 leads per day to close that sales number. Obviously it has more detail, but you get the point. 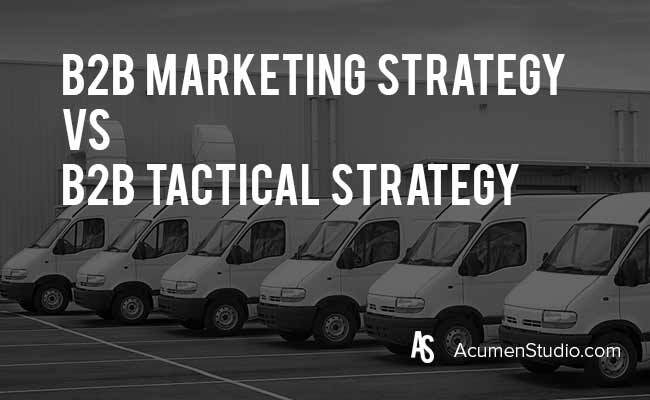 The Tactical Strategy should support the marketing strategy in it’s goal. Again more detail would exist, but again you get the point. So then all that’s left is to get approval and execute on the tactics of the tactical strategy, which satisfies the marketing strategy that satisfies the business strategic objectives. Are you interested in having someone work on your Tactical Strategy? This can be anything from cracking your knuckles to tapping a pencil. It can show insecurity and intense nervousness. 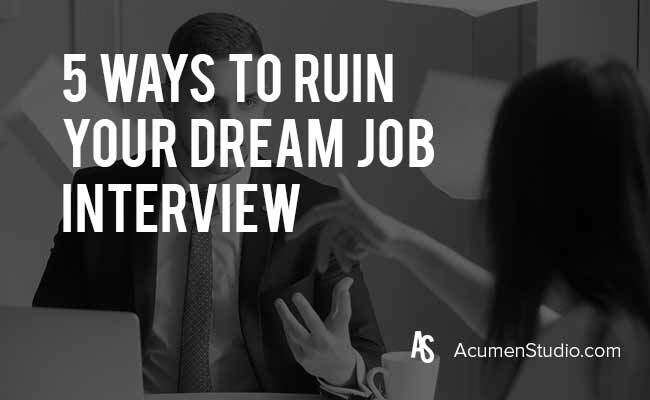 If you are going for a job where you need to be client-facing or in touch with customers, this may show the interviewer that you are not capable. It’s easy to get stuck in traffic, get lost in a new area or even have car trouble when going to an interview. It’s important to know where you are going and how to get there. It may be a good idea to do a quick run through of your route the day before if possible so you know where to go, where to park and to verify how long it will take for you to get there. If you are going to be running late, it’s important to contact the interviewer immediately so you are not keeping them waiting and wondering where you are. It’s important to share information about your past work experiences and work history. But oversharing some information whether it’s personal or professional is tacky and can put you in tricky situations. Even if the company you are interviewing with is more laid back and relaxed, it’s always a good idea to over dress and be more professional than to not be professional. So make sure to dress appropriately and conduct yourself in a professional manner. So with that being said, make sure you are aware of how you present yourself, identify what your bad habits are and make sure you keep them in check when in an interview. Why is online so complicated? Where do I find the time fit in digital marketing? 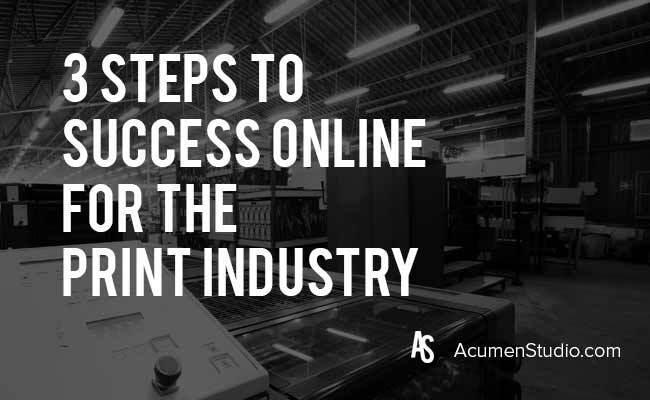 Does digital marketing even work for the print industry? It’s likely you have or had a similar question. The biggest problem with digital marketing today (and the digital marketing industry) is that it has created itself into being overly complex. There are so many options, the platforms are constantly changing and to figure all of this out you have to spend a lot of time reading to stay on top of it and trying things out to see what works. To make digital marketing easy on yourself just do these 3 things. I know those sound really generic and doesn’t have the tactical application you might be expecting, BUT I am going to share with you the tactics of doing those three things here. These two go hand in hand as we focus to keep things simple. Focus is most applicable to generating a return. Like most marketers will tell you, segment and target your message! But what most marketers want you to do is have 6 personas that have 3 different mindsets and now you have 18 customer types you have to create and message for. Same thing goes for the tactics of digital marketing. There are so many things that can be done for each discipline and it’s nearly impossible to stay on top of it all if you aren’t an agency where your business is to stay on top of it. Think about it… SEO, PPC / SEM, Social Media, Social Ads, Email & Marketing Automation, Conversions, Goals, CRO, etc. But again only a fraction of what can be done is best suited for your needs, in your market for your target customers. So that’s what you want to do. So you know the audience you’re going to focus on and the tactics suited for you. The last step is to just DO IT! This is the 2nd most common place where companies in the print industry get hung up. They will seek some sort of perfection that doesn’t actually exist and never pull the trigger. That’s a lot of wasted time and money to then do nothing. It’s true that you’ll want to tweak things after they have run to make them work better, but if you commit and see results you’ll feel a lot better about going even harder and getting even BETTER Results. To move ahead is most important because doing nothing will get you nowhere! Pick a target customer (real estate brokerages, financial advisors, marketing agencies, etc.) and create a campaign that targets them on LinkedIn sends them to a landing page created for them and gives them a PDF created just for them. This will get more sales from your target audience. Optimize your title tags, meta descriptions and h1 tags to include the words people search for when looking for your services. Add a contact / quote form to every product / service page on your site with a button for them to click to call if they prefer. And ACTUALLY DO IT (the committing part). Then you will get found more often by new and existing customers, generate more leads and close more business. How Do I Prioritize Marketing Projects Effectively? The project shuffle – gets tedious and exhausting, doesn’t it? However, it happens more often than not when you work in the constantly changing digital marketing landscape. This is where your project management skills are put to the test. It is where you learn the quirks of the client and how to move the processes along with each task to meet the deadlines. 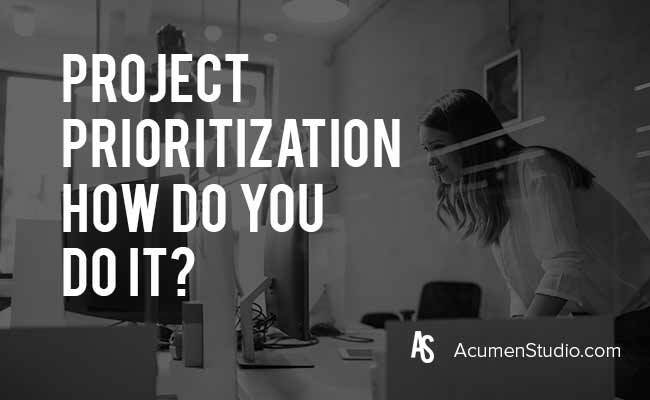 How Do You Prioritize with Project Management? Determining priorities with client projects means that you have to sit down and take a look at the bigger picture. It is not the simple shuffle of tasks that will make things run smoother, its the negotiation in your mind that tells you okay this makes sense and it will not interfere with the workflow. That it will benefit the team. Learn your client’s quirks and what they pay the most attention to. Sit down with Team Members to discuss tasks at hand. Project management with multiple clients is not just about you and the client. The bigger picture is to make sure that projects are getting done correctly and efficiently without overloading team members with tasks for that project on top of other client projects. When it comes down to making these changes, an internal meeting with all team members involved is important. Sit down, write out what is happening on a whiteboard, and reach a consensus as to what can be put on hold and pushed back. More often than not reprioritizing can be difficult if one team member is responsible for major portions of work and already has a lot on their plate. Talk with them and discuss what can be done to alleviate the stress and make it possible to reprioritize projects. Talking it out with all team members involved is more important than just deciding on your own as the Project Manager.